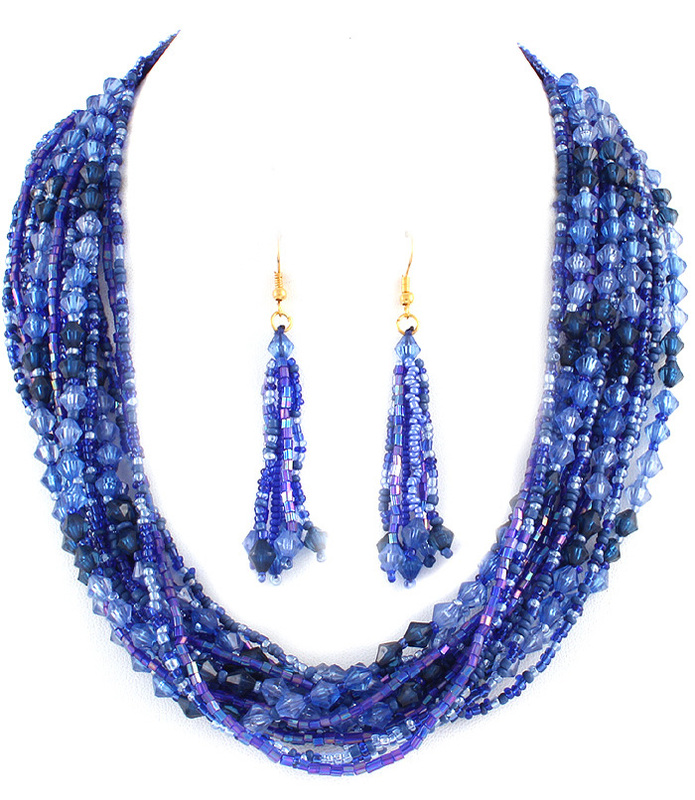 Shine like a diva as you adorn Anahi Bead Necklace Set. Multiple shimmering blue beads add eye-catching appeal to your outfit. Drop earrings of the matching style. If it's online jewellery Australia you are looking for then look no further! Fun, formal, chic or unique…we have it all!